Take the Bloomerg Apptitude Test! 4:15pm: Check in at Bloomberg LP (address: 731 Lexington Avenue on the corner of 59th and Lexington. At the event you will be taking the Bloomberg Aptitude Test (BAT), a tool to help you connect with financial employers around the world. In taking the BAT you gain insight into your strengths and weaknesses as relative to a career in finance while at the same time showcasing your abilities to a wide range of financial employers. After taking the BAT you have the opportunity to enter your profile into the Bloomberg Talent Search – a tool that over 20,000 financial employers are using to find top new talent for financial employment opportunities. Over 200,000 students have taken the BAT and over 400,000 connections have been made between employers and students in the past few months alone! Don’t miss out on your chance to be contacted for great careers in finance! Read more at www.takethebat.com and check out some of the BAT Success stories. Spots are limited to 50 students, so make sure to register today! 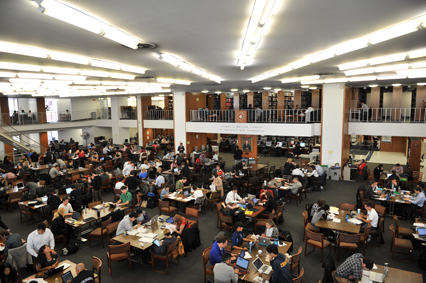 This entry was posted in Columbia University Libraries, Databases and tagged bloomberg on March 26, 2015 by Kathleen.